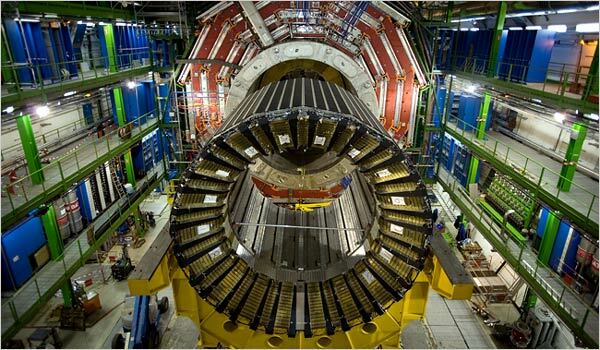 This entry was posted in Uncategorized and tagged CERN, Geneva, Large Hadron Collider, University of Birmingham by Joanna. Bookmark the permalink. Oh I am so very jealous. Do they find it slightly churlting that the most famous thing to come out of CERN is the world wide web, rather than any of the physics? I, too, am wildly jealous. That’s a rubbish question, by the way. Sorry. Walking around in the tunnel?! Surely they’ve got some funky golf-buggy things?! Woo hoo! Off I go! I’ll tell you all about it on Thursday! Actually Cern is a world leader in discoveries regarding theoretical Physics, several Nobel Prize Winners. It’s just that the General Public simply have no Idea what Fundamental Particle research is. Though they know what Blogging is.